For anyone who is keen to earn a little more money, there are plenty of options available today. Regular readers of this blog will know that there are countless ways you can bring in more money rapidly. However, they are not all made equal, and sometimes the most difficult decision is knowing which to go for. If you have some spare capital, and you want to turn it into more, then investment is often the best way forward. Now, we all know that there are countless options for what to invest in. 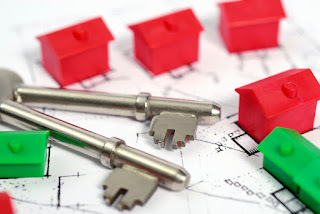 But in this post, we are going to take a look at property investment. Here are a few reasons why investing in property just might be your best next move. When you are considering investment of any kind, one of the major decisions you need to make is what to invest in. And the best way to figure that out is to compare the various markets which you are considering for investment. There is a very good reason that many people often turn to property investment, and it is that the housing market is such a reliable one to get involved in. as with anything else, it is not set in stone, and it does waver from time to time. But in general, house prices are increasing and they are likely to continue to do so until the next great recession. That will probably not be for a long time now, so this is as good a time as any to start investing in property. One of the most important things to consider in any investment is what kind of return you can expect. After all, the return is the whole point. If you are not happy with what you are actually getting back, then there is little point in continuing with that investment. To that end, be sure to think about this carefully when you are making any kind of investment. In terms of property investment, you are bound to be in a good position no matter what. Rental yields are in a good place at the moment, and with rising prices they are bound to improve even more. This high yield might just be all you need to hear to make your investment decision. Investing in houses for rent is likely to bring high returns before too long. It goes without saying that, as well as looking for decent returns, you are also hoping to pay out as little as possible. Widening this gap is ultimately what it’s all about, so you need to make sure you are bearing that in mind. The good news with property investment is that interest rates are at a significant low at the moment. This means that your mortgage will not cost you as much as it would have, say, five years ago. This makes now an ideal time to get into property investment in a big way. If you are trying to decide between a few different options, this might help to tip the balance somewhat.